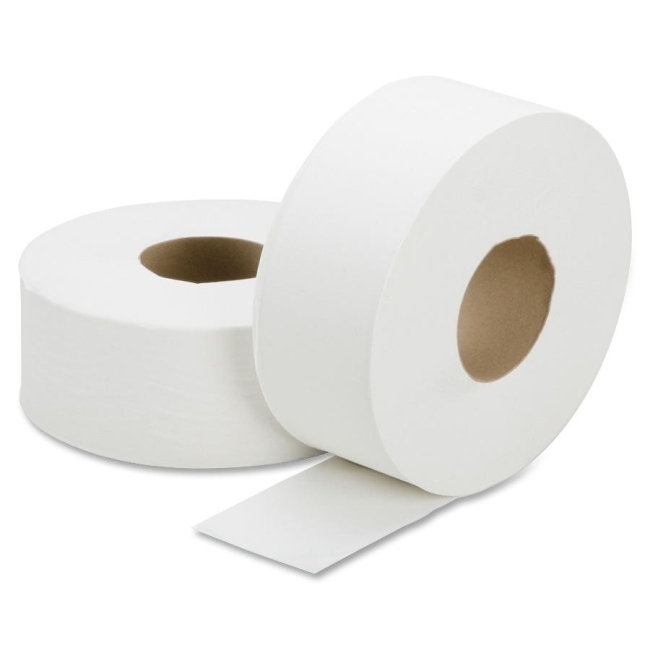 Jumbo roll toilet tissue is the perfect choice for high-traffic restroom areas. Each jumbo roll delivers nearly five times the amount of a standard roll. Toilet tissue is made from 100 percent recycled content with a minimum of 30 percent post-consumer fibers and with elemental chlorine-free bleaching. $48Georgia-Pacific Envision High Capacity Roll Paper Towel - 67 ft x 7.87"
$61Georgia-Pacific Preference Nonperforated Roll Towel - 29.17 ft x 7.87"